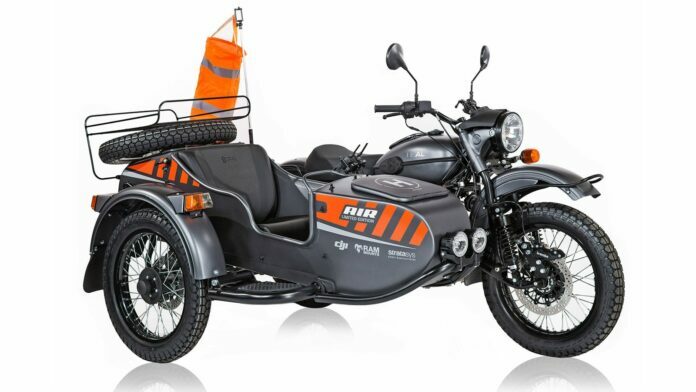 Ural Motorcycle is a Russian company that was built around a captured WWII German machine. They have something interesting ready for 2019, featuring major updates that will bring Gear Up into the 21st century. Most important improvements are “under the hood”, but the looks and equipment are also changed. The safety is increased, as the models now sport a universal spare tire for any position. Let us see what else they have in store for us. The overall design is based on an antique model, which is why it looks like it is from the ’40s. Some refer to it as “outdated,” while others say that it is “a charming classic”. Both are right. The bike has laced wheels, and the bike is rather capable off-road. A round headlight is set above the front forks. 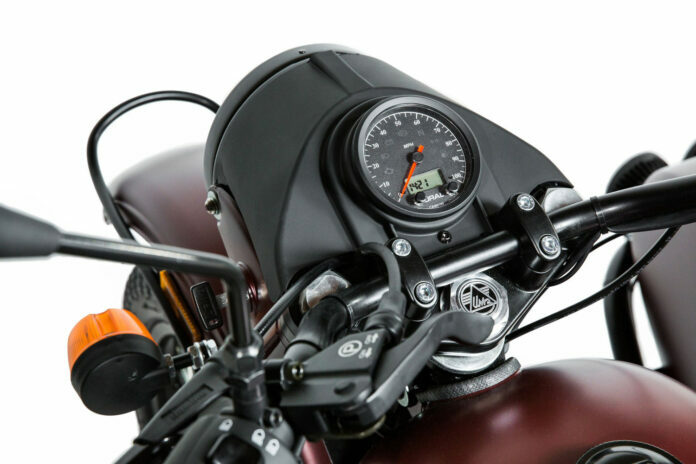 An old-school analog speedometer is the dominant metric in the instrument gauge. It also has lights for low fuel, turn signal indicators, neutral indicator and parking brake light. There is also a master caution for the engine and electrical system, as well as an LED screen for the clock and odometer. 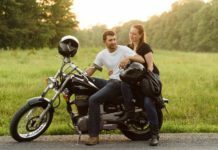 The fuel tank is five-gallon, and sports a lockable dry-storage compartment, which is perfect for your mobile device. The tank also has rubber kneepads, while the bench seat provides a level surface with enough room. There is a pair of J.C. handles and foot pegs for another passenger behind the pilot. 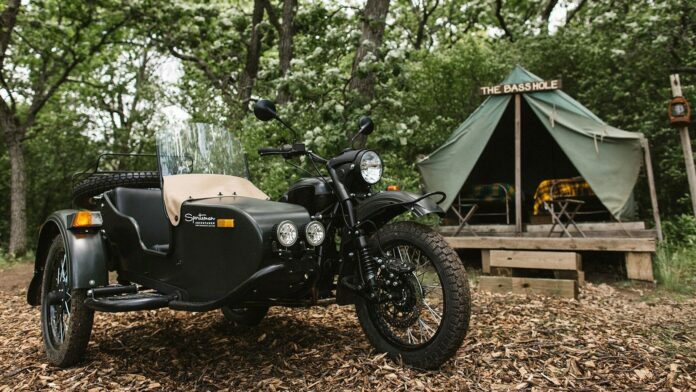 Behind the passenger in the sidecar is a trunk, providing additional dry storage complete with a luggage rack and a spare tire. 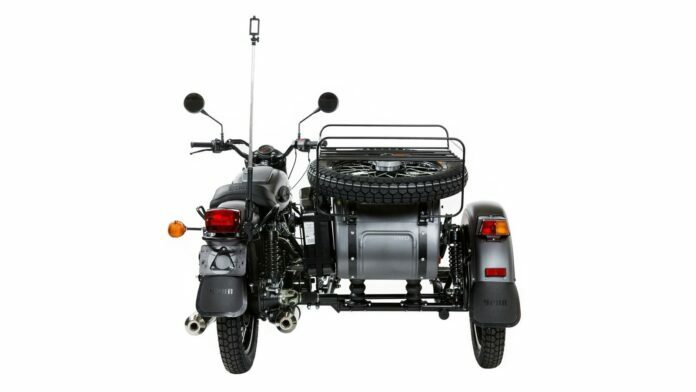 Dual LED fog lights are situated on the front of the sidecar, with a second luggage rack across the top. The base model comes in many different colors, with glossy, flat and metallic paint on the palette available. A white-and gray Urban Camo is also available, as well as a Woodland Camo finish. All models have a Jerry can and the entrenching tool. The sidecar also gets a Tonneau cover in the entire passenger area, and a USB port. 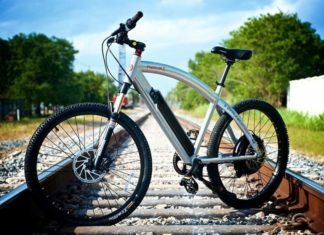 The bike has symmetrical 19-inch aluminum rims with steel spokes for strength. For regular cruising, Duro HF-308 hoops are the right choice. If you aim for off-road adventures, the optional Heidenau K37 tires are perfect. There is a 295 mm front disc, and a 256 mm rear discs. There is no ABS, as only the old-school stoppage power controls the 730-pound vehicle. The bike also has a parking brake for some extra security on slopes. A pair of new Keihin throttle-bodies, a throttle position sensor allow easier starts and a smooth idle mode. 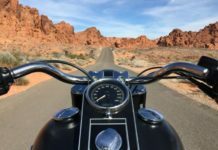 Other benefits of the new fuel-injection system are seen with the reduced emissions, as well as 31 to 37 miles per gallon efficiency, meaning a range of up to 185 miles. The square engine has a total displacement of 749 cc and an 8.6-to-1 compression ratio. The new pistons run with a Teflon skirt reducing friction. A phosphate-coated wrist pin rounds out the improvements inside the jugs. There is an increased-capacity oil pan in the engine case, sporting an improved pick-up design that delivers more reliable oil pressure. This awesome bike comes with a push-button and kick-start. The engine provides 41 horsepower and 5,500 rpm with 42-pound feet of torque at 4,300 rpm. 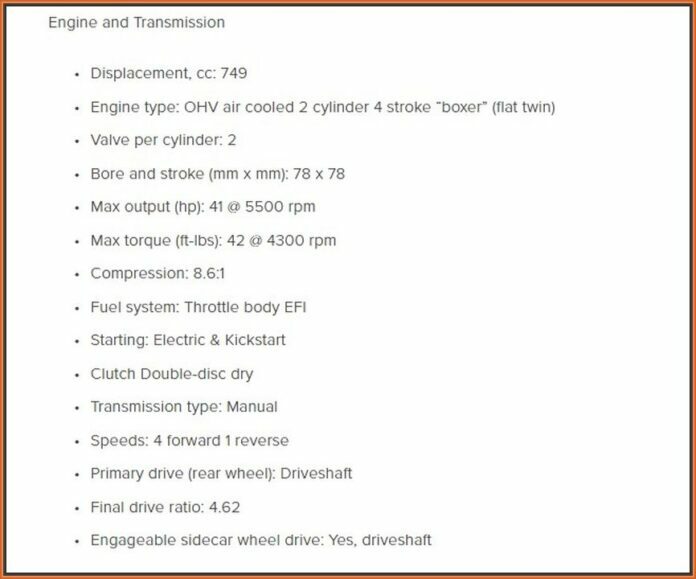 It has a standard dry standard clutch with a transmixxer that offers four-speeds forward plus reverse. The top cruising speed is 70 mph. 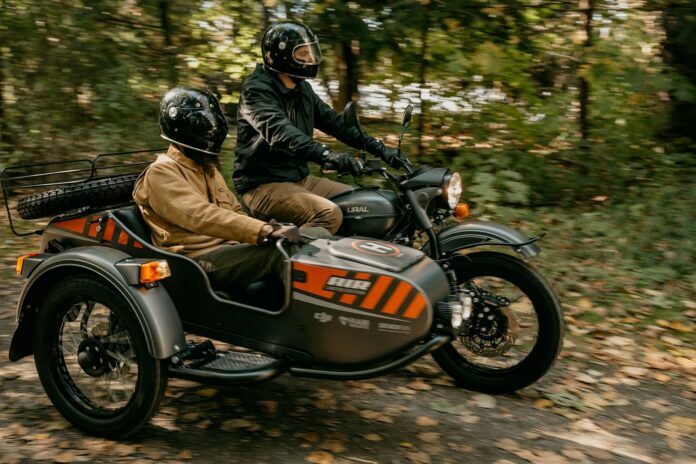 The 2019 Ural Gear Up price starts at $16,999, coming with a two-year warranty. You can extend that to three years for additional $850. The base Sportsman SE is $18,499, while the Camp Package is $1,055 more. 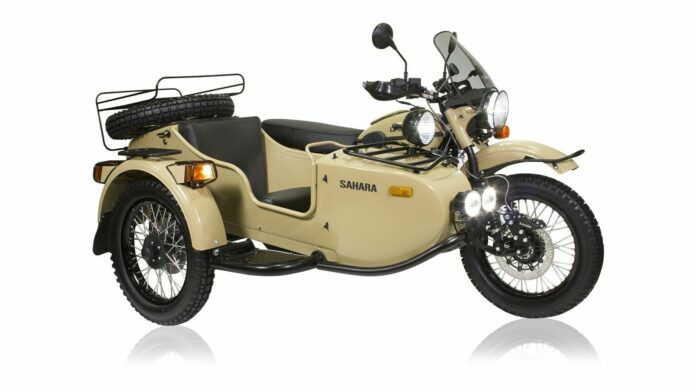 The Sahara SE costs the same, with the off-road package costing an additional $1,699. Air LE starts at $17,999, with an obligatory $500 deposit for one of the 40 limited-edition bikes. As this is the only major manufacturer specializing in sidecars, this is tough. 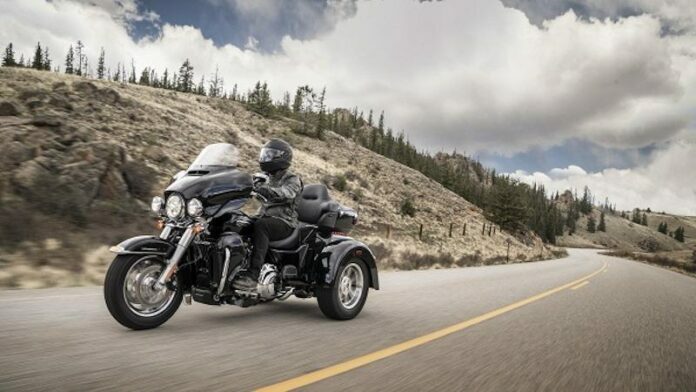 Harley-Davidson has the Tri Glide and Freewheeler trikes based on this design, but they are just different. Yamaha’s Niken and Can-Am Spyder have three wheels, but those are all the similarities. 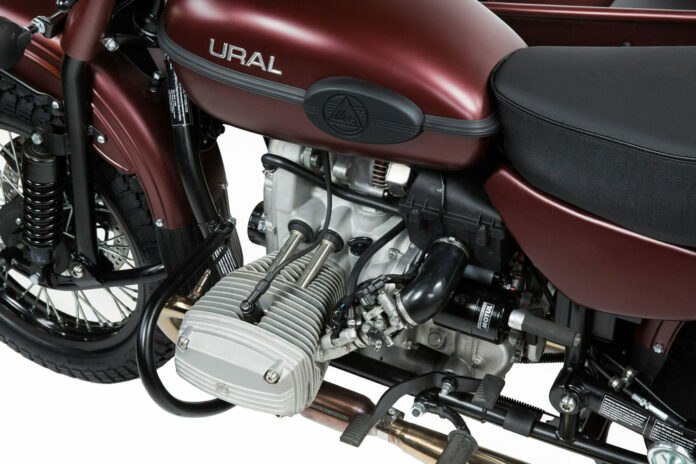 Other than some customized bikes, Ural is doing a very unique job here. 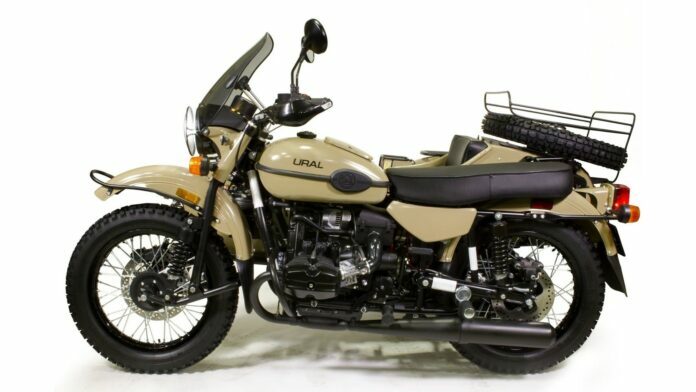 If you are into this kind of bikes, Ural is the only option.